We would like to thank you once more for choosing Reface Scotland! We have a limited time offer that will make your home even more cosy and will cost you nothing! We hope that you are happy with your new kitchen & we would highly appreciate if you could leave a review on one of the links below. You will receive a lovely gift from us if you make your review public. 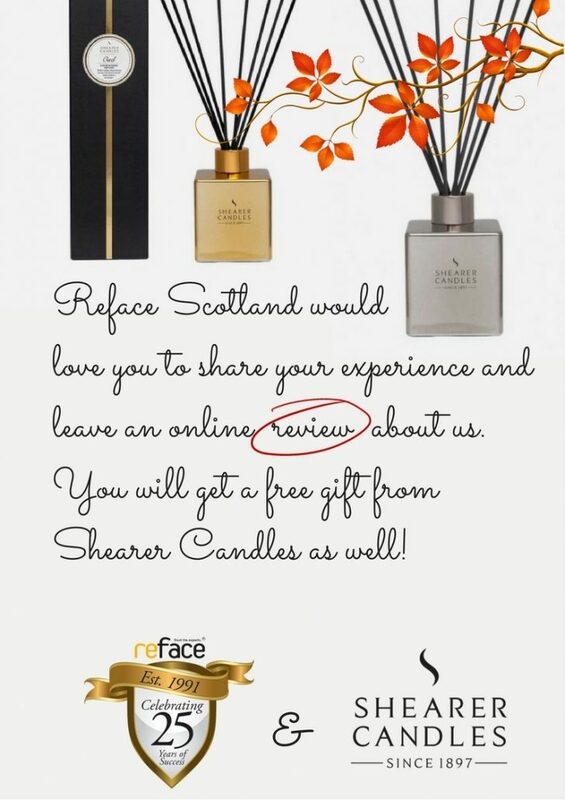 We want your home to be even more lovely and welcoming; therefore we chose Britain’s favourite Shearer candles as a thank you gift for you. All you need to do is click on one of the websites above and leave a comment about Reface Scotland! Once you do this, fill in the form bellow, and we will send you and e-mail letting you know where you can collect your gift from! Thank you in advance!